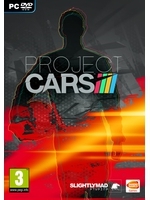 Since June 2012, Gamersyde has provided direct feed videos of the PC version of Project CARS, but quite logically, the console versions could not be given the same treatment. The only console footage we've been able to show you until now was always captured off-screen at E3 or Gamescom. Thanks to the generosity of Alan Boiston from Team VVV, things are about to change. Indeed, as he managed to get a preview build of the PS4 version with Slightly Mad Studios, he prepared a bunch of videos from a much more recent build than the one Eurogamer showed in an article that caused quite a turmoil on the Internet and in the PCARS community. Now you can truly see what to expect from this game when it's released two weeks from now in Europe. We'll have some more videos coming as soon as we get our own copy, but until then we'd like to thank Team VVV for accepting to share some of their work with us. If you're into racing games, we can only recommend that you take the time to visit their Youtube channel, which is clealry one of the best places on the web for all motor sport enthusiasts. Note : Since the videos were captured from replays on a non final build, a few bugs may still be seen in the videos. So, how does it compare to the pc version? Is the difference in graphics big? The consoles run slightly below maximum in most graphics settings (High instead of Ultra). I think most people will be hard-pressed to tell the difference though, especially at race speeds. The most visible difference is between the LOD settings, meaning that as you get closer to objects the change in detail is slightly more visible. From what I've seen the draw distance of the rear view mirrors is noticeably shorter, but still perfectly alright for racing. @HardRock - Perfectly explained. Ofcourse there will be a difference between the 2, but fairly minimal from what I've seen so far..
Am I the only one who think the buildings looks like toys? Been waiting forever for this game, really nice to know it's just around the corner. Shout out to Team VVV. One of my favorite YouTube channels. Well this ain't no Forza or Driveclub. The visual options have no impact on framerate, they're purely cosmetic. It'd be cool if you knew what you were talking about. And it's not sometimes 60, it's almost all the time except under certain specific conditions, which the next GT probably won't even need to slow down. The visual options have no impact on framerate, they're purely cosmetic. It'd be cool if you knew what you were talking about. i was basing my comments on digital foundry, but it seems the version they were supplied was not intended for tech analysis. my bad. It was a February build at best, Alan got his hands on a much more recent one and from what he's said, framerate is solid. Now again, sure there will be drops when the number of cars is maxed out (we're talking 40 or more - remember Forza or GT don't even do half) and the worst possible weather conditions are added to the mix. The first parties will catch up eventually. Forza 5 does run at a solid 60 FPS, but it doesn't have day/night cycles or dynamic weather based on what I've heard and read. That's a huge performance gain right there. I'd bet good money that means baked (meaning static) shadows for the environment in many places. The same technique was used for PGR4 on the X360 to great effect. It's a good technique if you want to achieve a consistent look and a good framerate, but it makes it impossible to represent the changing conditions of a real race. For that reason and that I find it highly unlikely that Turn 10 modeled the physics of hundreds of cars accurately I wouldn't really consider Forza 5 a sim. As for GT6, from what I've heard it also falls short in the 60 FPS department (in 1080p at least) when you're running in certain weather conditions, so Project CARS certainly won't be unique on the consoles in this regard. And yes, I know that GT6 is running on prevgen consoles, but the point is that an inconsistent framerate with fully dynamic weather and day/night cycles won't be a new thing on the consoles. You also have to consider that you're comparing platform exclusive titles to a multiplatform one. It's easier to optimize something when you only have one platform to consider. What I've said about the physics of the cars in Forza 5 also goes for GT6, maybe even more so given how they chose to include legacy content. I don't like their quantity over quality approach. Now all that said, many things can be considered a sim based on opinion. Personally in this day and age when I know that physics wasn't as important to devs as having more cars or that I'll be driving in an environment with static grip levels then I won't consider their game a sim. I also think that considering the overall package of Project CARS it's a strong contender even on the PC. 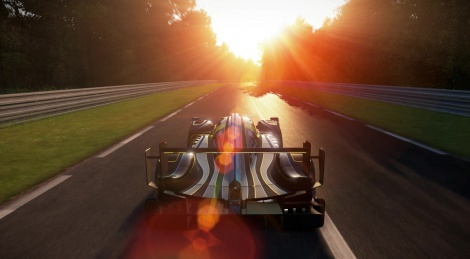 Forget all the technical jargon, the biggest difference between these games is pcars focuses on actual racing, period. With that comes day night, weather, car selection, practice, qualify, pits so on and so forth. I personally could careless if there are frame drops now and again. I'm just glad to finally get a real racing title on the console, with pc options to boot. Thank you SM. I love too how people complain when they give the graphical options. Even if they did effect frame frame rate it's still nice to have the choice. If I want forty cars but less graphical flourishes great, If want to just run hot laps maxed out I can do that. To many people just want to complain. Doubt it, First party racers seem more aimed towards casuals now especially Forza, DC & GT. I've read this a lot, but I feel there's been a slight misunderstanding on this matter. First of all, those 200-300k poly (from now on LODX) car models are used even on the PC only for the GUI when you're previewing your selected car and in photo mode. Additionally they're also used for the player's car, but only when you're playing with Ultra car detail. The rest of the cars will use the roughly 60k poly (LODA) models even then. Now, the console versions are set to High car detail, meaning that even the player car will use "only" the LODA model. However, the GUI and photo mode will use the LODX model regardless. So basically only the detail on the player's car will differ between the consoles and Ultra detail on PC. Another small tidbit: the consoles could easily have used the LODX model for every car, but that would have meant compromising the mostly 60 FPS target. Indeed, cars in Driveclub use an estimated 250-300k polys for cars, so they clearly used their performance budget well at their 30 FPS mark. Are you guys going to run Dirt Rally? I'd be curious to hear what you think.